Romeo Carey recently heard from Bill Winckler, the son of Betty Sturm, who portrayed one of God Hilliard’s devoted followers in The World’s Greatest Sinner (1962). His mother had some fascinating memories of Timothy and her participation in the film. 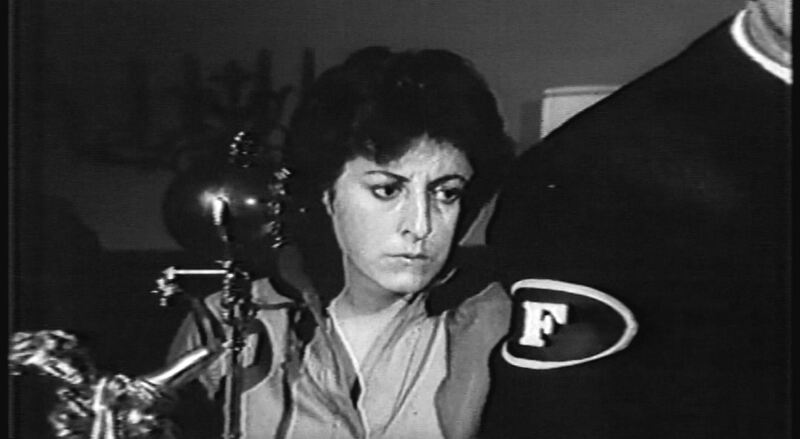 Mom kind of fell into acting, but really didn’t want to do it. However, she had a natural ability for it and she was great. She worked in an Arabian Knights/Sinbad type movie, and then was cast in Timothy Carey’s The World’s Greatest Sinner. A friend was going to audition for Sinner, and asked Mom to join her . . . so she did. She needed the money, so why not. Mom recalls auditioning at what may have been a side office near Timothy Carey’s residential home. A lot of people were there. She remembered Timothy’s face from some movies where he played the bad guy. He met with her personally, and she could never forget his face . . . a thin one that she thought played killers or morticians or whatnot. Mom recalled thinking to herself that if she bumped into him at night, she’d be scared to death. . . but in reality, Mom found Timothy to be a very nice, kind, gentle soul. She liked him a lot. She told him she stayed at the Hollywood Studio Club, and had just finished a part in an Arabian themed film. He thought that was great, and he liked her because she was German, she was polite, etc. Mom recalls speaking German to Timothy’s wife too, finding her to be a lovely, kind lady. She really liked Timothy’s wife, liked the family, and recalls seeing their many kids. 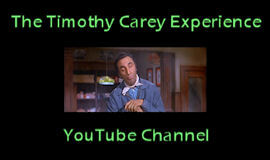 Mom thought highly of Timothy Carey, thinking he was a nice man, but the filming went on for a long time. She had a nice part with much dialog. She recalls working out in the Pasadena area in a big house. One thing that bothered her was seeing some fellow actresses stealing property from the house that was rented for the film, items like hair dryers, which were not the property of the production. Mom hated to see this stealing! She didn’t receive her pay, and was starting to get impatient and worried. She then met the man of her dreams she would marry, Robert Winckler, a successful entertainment attorney who had been a famous child actor in Hollywood. They became engaged, and Mom decided to quit acting/showbiz entirely. Timothy finally paid Mom for all her work, after the California Labor Commissioner looked into the matter for her, and later, Timothy apologized and asked my mother to come back and finish the movie. Her now husband, Robert Winckler, actually encouraged her to do it, finding nothing wrong with her returning to finish The World’s Greatest Sinner, but Mom just wanted to focus on raising her new family and spending her life as her husband’s wife. She politely declined Timothy’s offer. As a result, many of the scenes with Betty Sturm were cut from the final release print, except for some, including the infamous emotional scene where Betty, as God’s follower, emotionally cries, breaking down in his arms, as Timothy himself cries, acting distraught, consoling her. It’s a powerful scene. She finds it amazing that people still remember The World’s Greatest Sinner and that fans love and remember her performance.